Monday night, the internet blew up when Janet "Aunt Viv" Hubert, decided to turn on her camera phone and let 20 years of pent up bitterness spill tea all over her kitchen counter. The fact that Kevin Hart would choose to turn down an opportunity to host the Oscars rather than clarify his behavior shows that there’s something deeper here. Writer Dustin Seibert is tired of of these weak theories from Bill Cosby apologists, especially now that the Cos has been found guilty in a court of law. Here's his guide to smacking down the bs. Why watching Beyoncé's Coachella performance became the physical manifestation of Blackness. 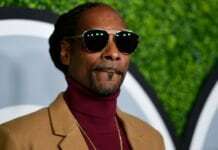 Snoop is the co-founder of Casa Verde Capital, an ancillary cannabis industry venture firm that was started in 2015, but just recently closed its debut fund with $45 million. During the Love & Hip-Hop NYC reunion special, Peter Gunz confirmed that Amina Buddafly was carrying his child. While others are attending the #OscarsSoWhite, much of Black Hollywood is going to be somewhere else: Flint, Michigan.